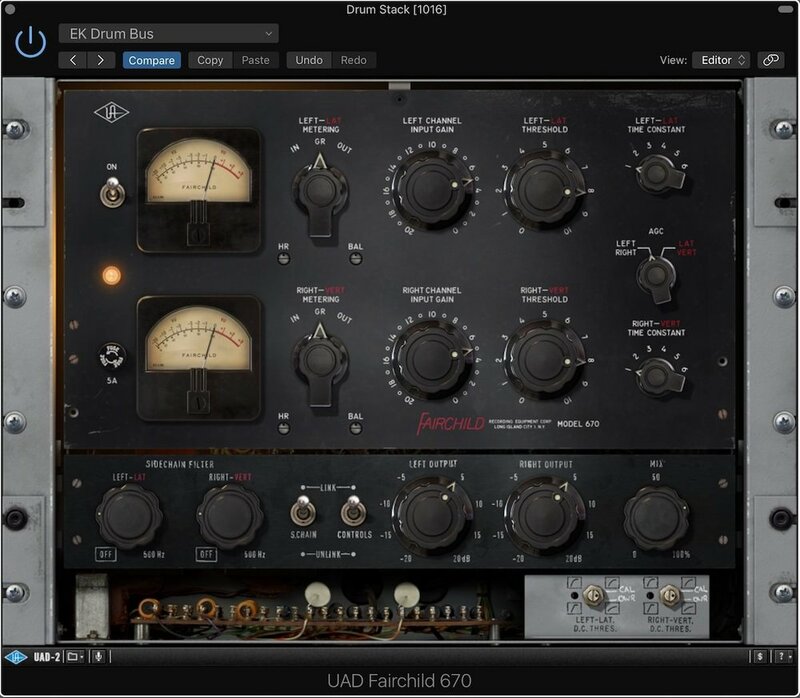 In this video, sponsored by Universal Audio, Eli Krantzberg shows the UAD Pultec EQP-1A and the Fairchild 670 in action on a drum bus. The Pultec EQP-1A is known for its unique EQ curves that result from simultaneous boosting and cutting around the same frequency range. Hear how it is used on the drum bus to tighten up the kick drum and bring out the ride cymbal. 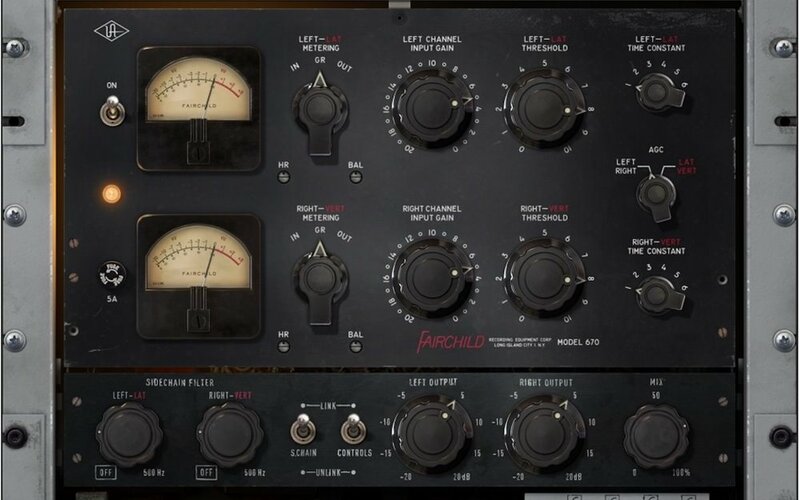 The Fairchild 670 has a deserved reputation as a great bus compressor. It glues together the elements passing through it nicely. Here it is used in its traditional stereo mode, although it does also do lat/vert (mid-side) processing. The built-in side-chain filter is a great feature for a drum bus. It allows you to tune the frequency range of the compressor's input with a lo-cut filter. This allows the compressor to act more naturally on the drums by reacting less to the lower frequencies of the kick drum. So the kick drum maintains its transients and solid low end, while the compressor reacts to the rest of the drum kit.